We have delivered excellence for more than 20 years. Serving the Albany , Loudonville , and the surrounding Capitol District areas. With our broad experience, We have been dedicated to bringing you the latest modern techniques and painting services. We offer painting services for residential and commercial , Interior and exterior. painting, plastering, Water Damage, Wall Paper Removel, Wall Paper Hanging, and Much more. One of the biggest parts of interior house painting is the preparation. If these steps aren't followed properly, mishaps will occur. Our Albany professional interior painters learn early that the key to a successful interior paint job is the preparation. Properly preparing a room for painting allows for easy clean up and a more professional look in the end. Learn more. At Kennedy Construction our house painters are craftsmen who are proud of the work they perform. To achieve the level of quality they demand of themselves, proper surface preparation is never taken lightly, or shortcuts taken. Sanding, scraping, cleaning and priming are completed with the same attention to detail as painting fine woodwork. 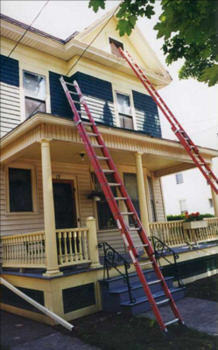 Learn more about exterior painting. The Color Viewer: http://www.benjaminmoore.com/wrapper_pcv.asp?L=owner&K=intproj&N=intproj — The Color Viewer is the most powerful and versatile color visualization tool in the industry. This tool helps make the color selection process easier by enabling you to see your color in place on a virtual house before any paint is applied to your home. If you are looking for a house painting company in the Albany area, please call us today at 518-432-9298or complete our online request form.